For those of you who want to know what causes BlueScreen suddenly, they can use software called BlueScreenView. 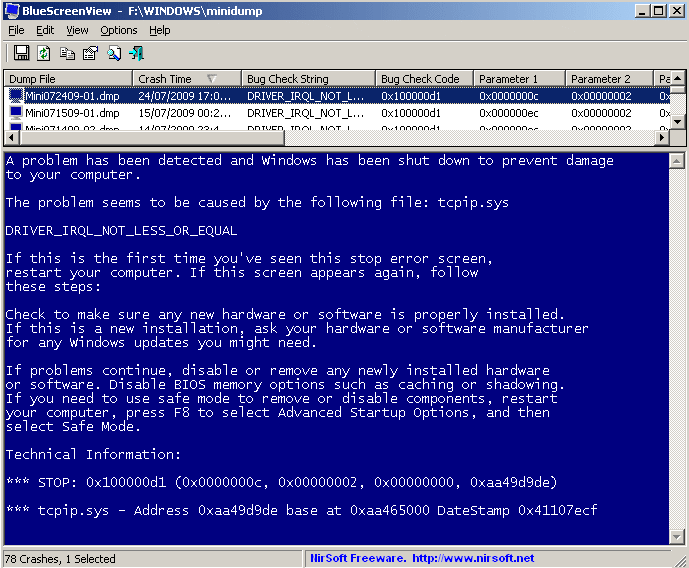 With the software then you can detect and know the information causes BlueScreen. You can download the software at www.nirsoft.net. BlueScreenView works by scanning all minidump files created when BlueScreen occurs. BlueScreenView supports Windows XP, Windows Server 2003, Windows Server 2008, Windows Vista and Windows 7 operating systems.